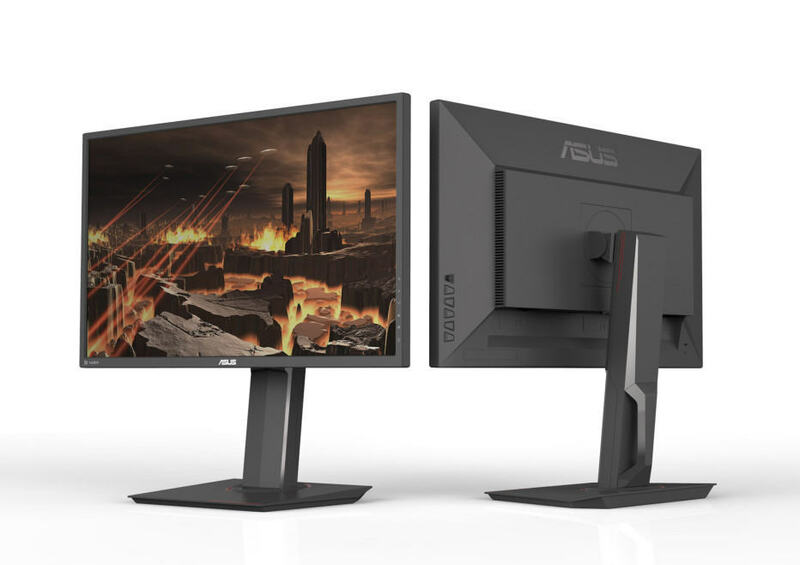 ASUS has announced a new 1080p 144Hz 1ms gaming monitor, the ASUS MG248QE. As opposed to its predecessor, the MG248Q, which had NVIDIA 3D Vision and Lightboost, the new model will feature AMD FreeSync as well as the Extreme Low Motion Blur technology. Just like the rest of the entry-level 24-inch 144Hz gaming monitors such as the ASUS VG248QE, the AOC G2460PF, and the ViewSonic XG2402, to name a few of the most popular ones, the ASUS MG248QE will be based on a TN panel with 8-bit color support achieved through dithering, Full HD resolution, and 1ms response time speed. What distinguishes this particular gaming monitor is the backlight strobing technology which ASUS has dubbed as ELMB (Extreme Low Motion Blur). On a related note, LG also offers a 24-inch 144Hz gaming monitor, the LG 24GM79G, with their proprietary 1ms Motion Blur Reduction technology. We have yet to test which technology of the two is better at reducing motion blur once the ASUS MG248QE is released. We have reviewed the ASUS XG35VQ 100Hz ultra-wide display which also offers ELMB and we weren’t satisfied with how the ghosting was handled. However, since the XG35VQ features a VA panel which is known for prominent ghosting, we won’t jump to any conclusions. 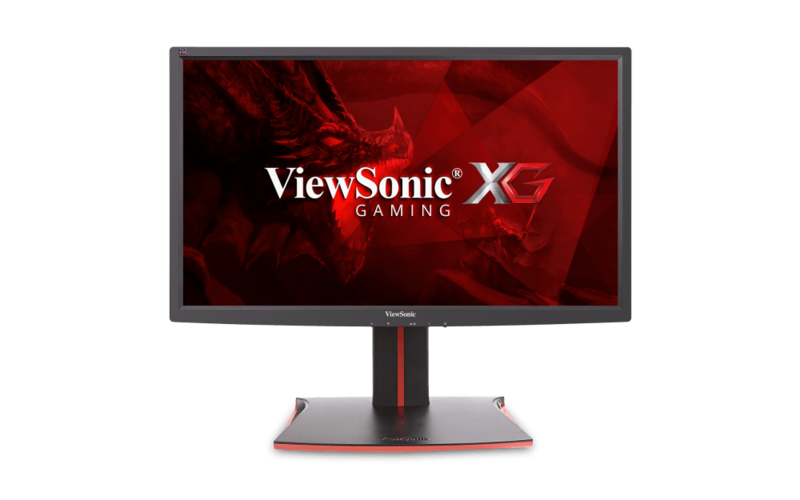 The ASUS MG248QE 144Hz gaming monitor also features the AMD FreeSync technology which allows you to synchronize the monitor’s refresh rate to the frame rate of an AMD FreeSync-compatible GPU thus eliminating screen tearing and stuttering. FreeSync is supported within the 40-144Hz dynamic range over the DisplayPort only. The common game-enhancing features by ASUS are also available on this model including GamePlus (customizable crosshairs, on-screen timer, FPS counter) and GameVisual picture presets (Racing, RTS/RPG, FPS). Lastly, the ASUS MG248QE screen is flicker-free and features a low blue light filter so that you may game for hours to an end without feeling eye fatigue. The OSD (On-Screen Display) is navigatable via both the 5-way joystick and in the Display Widget desktop application. 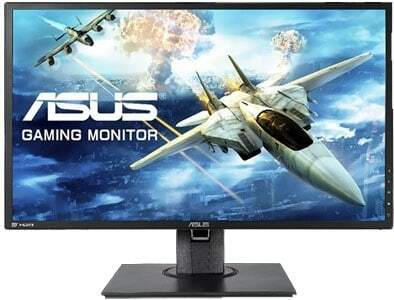 The ASUS MG248QE features only 1cm thin bezels which make it ideal for multi-monitor gaming setups. The monitor is VESA mount compatible and offers tilt and pivot adjustability. As far as connectivity is concerned, there is a Dual-Link DVI-D, a DisplayPort 1.2, and an HDMI 1.4. While the release date and the price are unknown at the moment (March 2018), the ASUS MG248QE will likely be priced around $250-$280. 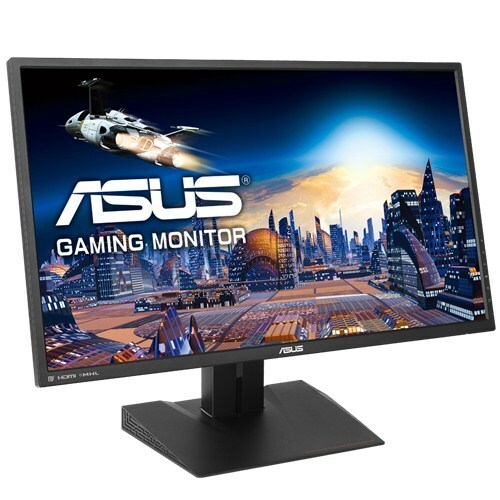 While the ASUS MG248QE doesn’t add anything new to the table when it comes to the budget 1080p 144Hz monitors for competitive gaming, it’s a welcome addition for those who are still looking for the ideal display of such caliber or are not satisfied with their current models, like many who are struggling with the ASUS VG248QE settings and calibration. So, hopefully, the ASUS MG248QE comes with a better picture out of the box. As previously mentioned, we’re eager to see how ASUS’ motion blur reduction technology compares to that of LG at 1080p, 1ms, and 144Hz. Stay tuned for a more thorough ASUS MG248QE review once we get a chance to test it out! pretty slow advancement in monitors for the last 2 years. Not even a price drop from old tech…..